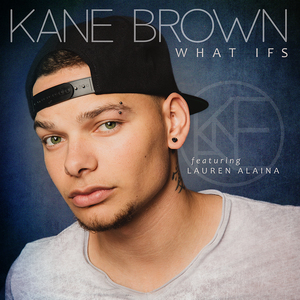 Kane Brown, one of the hottest country artists at the moment, according to Billboard, has quickly emerged with a loyal fan base and is now spreading a powerful message on equality and overcoming personal challenges with his newest album, “Experiment,” released on Nov. 11. The 25-year-old baritone is breaking the stereotypical country look, so much so that’s he’s been told that he should be rocking cowboy hats and boots, but instead he has gained success with an edgier, swaggier look with many tattoos . His debut self-titled album, released in 2016, was celebrated throughout many number one hits and award nominations. The album was the most streamed country album of the year in 2018, earning Brown three American Music Awards nominations including Favorite Male Artist, Country — Favorite Song and Country — Favorite Album in October. Brown has continued to appear as country music’s best-selling new artist. He has had 21 songs peak at number one on the Billboard charts, including “What Ifs” feat. Lauren Alaina, “Heaven” and most recently “Good As You,” his newest single. “Experiment”is completely different from his self-titled album. This LP is mostly based on love but also speaks on the current state of the country. In “American Bad Dream” Brown describes a world where you cannot go anywhere without getting shot or stopped by the cops. Brown belts out “Wake me up from this American bad dream/ I’m becoming numb to all of this tragedy,” seeking a change for the country. On the album Brown speaks about the racism he faced while growing up multiracial in Georgia; his father is black and Cherokee and his mother is white. He leaves time for his bandmates to shine on each song. The drums, guitars, bass, banjo and fiddle heard on the album get their own time to radiate away from Brown’s vocals. Especially in “It Isn’t You It’s Me,” the guitar takes over during the simple love ballad for a quick solo in the middle of the song to set the gentle mood. Brown has always been open about his relationship with his wife as he has portrayed his love for her in “What’s Mine Is Yours” from his debut album. Even now, he continues to profess his love in the singles “Short Skirt Weather” and “Good As You,” which garnered over five million views on YouTube. “Short Skirt Weather” has a groovy sound with a one of a kind ring to it. It is one of the more fun, let loose songs on “Experiment”that grows on you with the sound of the fiddle, piano and quick finish of the drums. With the signature use of the fiddle and smooth blend of vocals and instruments, Brown captures your attention through it all. There are tons of albums that I cannot get through completely but “Experiment”offers a variety of sounds that I do not get tired of. With a lack of enhancing digital features used in much of today’s music, Brown’s songs leave his vocals and supporting sounds to fully draw you in.